The Fortnite 1.9.1 update should arrive sometime today. Epic Games has announced a new update for its online shooter title Fortnite, an update which will benefit both fans of the game’s default "Save the World" co-op mode and its arguably more popular free-to-play PvP mode Battle Royale. 4K support for Xbox One X which allows those with compatible television sets to get the same visual experience as those who are playing on PC at the ‘Epic’ graphics level option. The return of Mutant Storms in Save the World mode which allow players to once again earn Storm Tickets (this coincides with the ending of the Fortnightmares event). 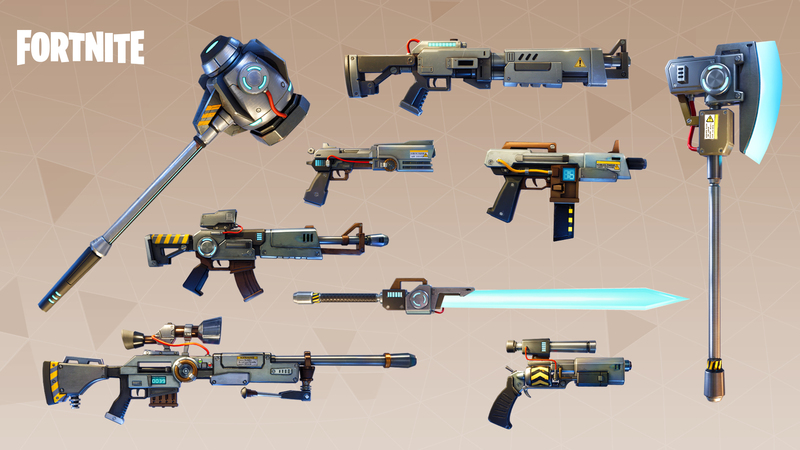 Nine new Vindertech weapons which can be earned in Save the World mode, including both ranged and melee options. The addition of smoke grenades to Battle Royale which help to obscure players from their enemies’ view and which can be found both as floor loot and in all container types. Two new Battle Royale leaderboards: A "Global Wins" leaderboard which tracks the top 50 players in a specific match type based on the number of wins they’ve earned, and a "Score" leaderboard which ranks players based on the total amount of XP they’ve accrued. Players who have any leftover Halloween Tickets from the Fortnightmares event will receive a free Halloween Llama for every 500 tickets they had in reserve. Epic has also added in a series of new Event Quests for Mutant Storms to encourage players to dive back into the Save the World experience. Be sure to consult Epic’s full patch notes post for more specific details on the bugs that were fixed and gameplay elements that were tweaked.